Going from rags to riches is the American dream. Sadly, sometimes that rise also comes with a fall. The Michael Vick Project (BET, Tuesdays @ 10 pm), tells the tale of one young man that lived the American dream only to lose it and fall as quick as he rose. More a documentary than a reality show it chronicles the fall of Michael Vick and his drive to revive his career in the NFL once again. The first episode focused on how he got to the point in his life where prison was on the horizon. Vick is currently a member of the Philadelphia Eagles. While at Virginia Tech his talent was obvious and his future as an NFL quarterback unquestioned. Against the norm, he came out of school after his sophomore season and was subsequently drafted by the Atlanta Falcons. After a few seasons of exciting and electric play that made the Falcons contenders every season, they made him one of the highest paid players in league history (at that time). It wasn’t too long afterwards that his world imploded. For months the sports world was besieged with the news of Vick and the brutality involved with dog-fighting ring he bankrolled. Eventually the former football star was sentenced to 18 month sentence in prison. He has now finished his time in prison and is back in the NFL. Vick is likely hoping to do what Terrell Owens had hoped for when he had his show on VH1 last year. Owens wanted to show that he was not an ego-maniacal train wreck that the press often portrays him to be. In an industry where image is important, Vick wants to garner public sympathy by showing that his story is a tragic one and that he is as much a victim as he is a criminal. If that is the case, the show failed miserably. Vick and his family showed little contrition or regret on the suffering that he caused. Instead, they seemed more worried that their golden ticket has been cashed and had run its course. There seemed to be no one really disappointed in what Vick had done, but instead disappointed that he got caught. They pull some obvious tricks in hopes of garnering sympathy, but then they try to portray dog-fighting as a cultural thing. The show will probably get decent ratings due to the controversial figure that lies at the center of it. However, in the end the show will not be the ratings maker that BET hopes. Shows based on a person or family succeeds because of how compelling and likable that person/ family is. In the end, Michael Vick and his project are not. 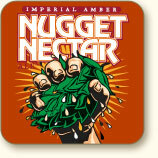 Beer: Tröegs Nugget Nectar from the Tröeg Brewing Company in Harrisburg, Pennsylvania-Fans of hops-heavy beers will love this brew only made from January to March each year. The brewers take another Tröeg beer, Hopback Amber Ale, and intensify the flavors by adding Nugget, Warrior and Tomahawk hops to the mix(that already includes Simcoe, Palisade, and Whole Leaf Nugget hops). At 7.5% ABV, it has a pretty decent kick to it without putting on the floor after just a couple.